This begins and ends with the viewpoint of the boiler, you should follow the dirt track beat around the boiler, but it can not go down to the bottom, as this is a nature reserve a site of Community interest and Special Protection zone. Starting with the Forest Park, troupes of Capelo and ends at the Museum Centre of Capelinhos during this route are two gaps that allow us to attain two volcanic cones, one goes to the Cabeço Verde, a volcanic cone with boiler inside and another will to the Cauldron, which then allows access to Furna Bad. Walking through the rail, comes to the Capelinhos Volcano viewpoint and finally it reaches the Museum Centre of Capelinhos. This trail crosses three Reserve Zones, the Special Protection Zone, the site of Community interest and the Protected Landscape Area. 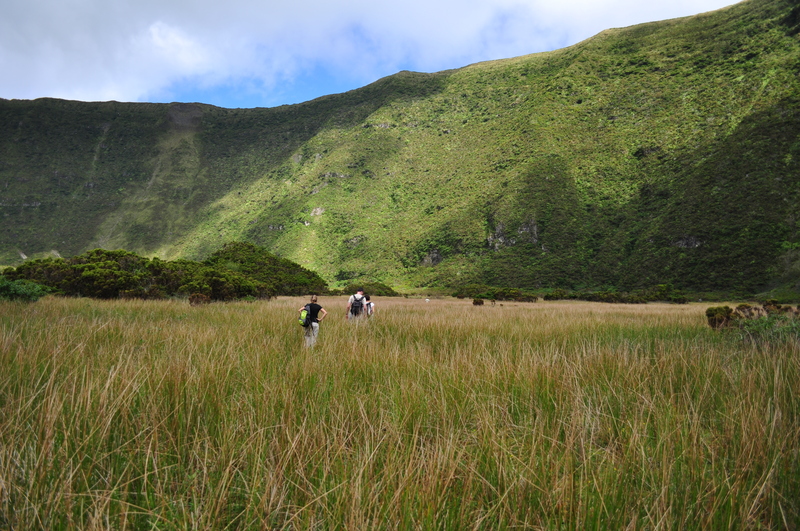 This route begins at a secondary bagacina road, but before you start this, it is advised to visit the Cabeço of Thirty, which is part of the Volcanic Complex of Capelo, consisting of an ancient basaltic volcanic cone that its crater is coated with a heather vegetation (Erica azorica), holly (Ilex azorica), among others. Returning to the rail moves to the water storage tank, which belong to a large hydro engineering work built in 1963. In this way one can still observe the alignment cones Volcanic Complex Capelo, some species such as laurel laurel (Laurus azorica), the sanguinho (Frangula azorica), holly (Ilex azorica) and grape-da-serra (Vaccinium cylindraceum) a cedar zone (Juniperus brevifolia), one cedar wood (Cryptomeria japonica). Toward the end, is an explanatory plaque on the debacle caused by the 1998 earthquake, being more visible to the front on the rail. A small circular route that begins and ends in Lombega, Castelo Branco parish. In the main point of interest is the Morro de Castelo Branco, one trachyte promontory that is home to a large community rare plants and animals. 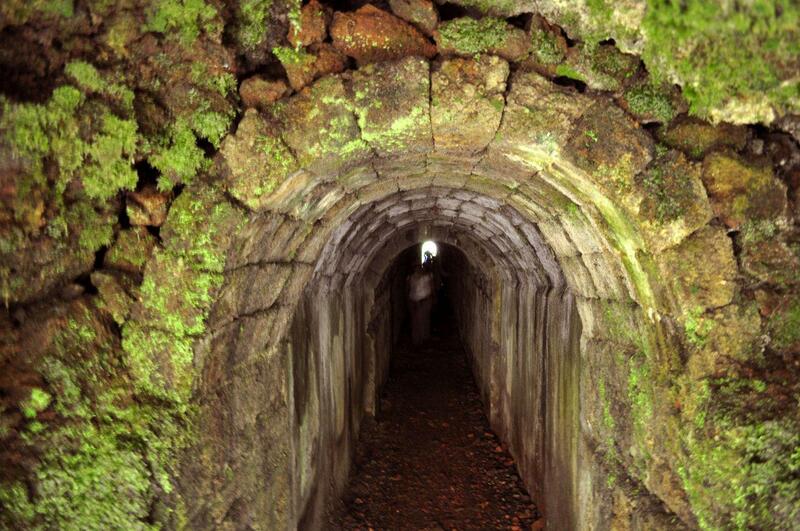 In this way it passes through the annular Gurta, lava composed of a pipe which can not be played because of their difficult operation. 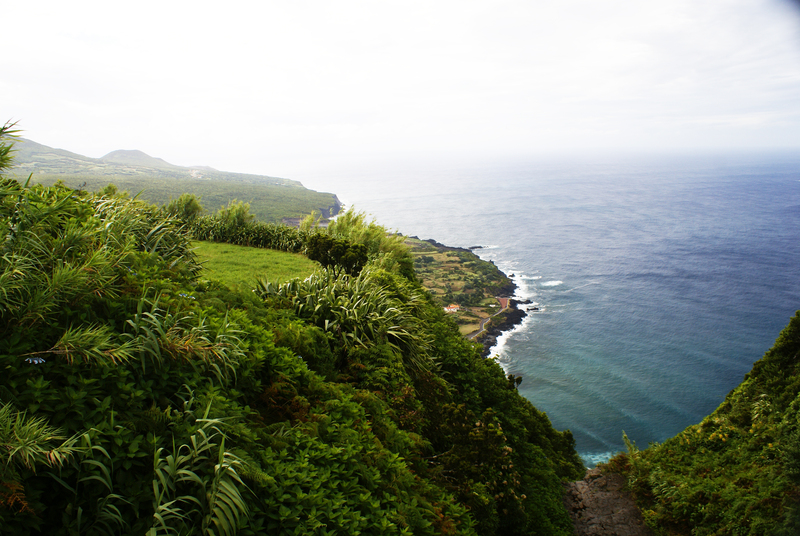 Following, is the Morro de Castelo Branco, the island of Pico and the Varadouro. 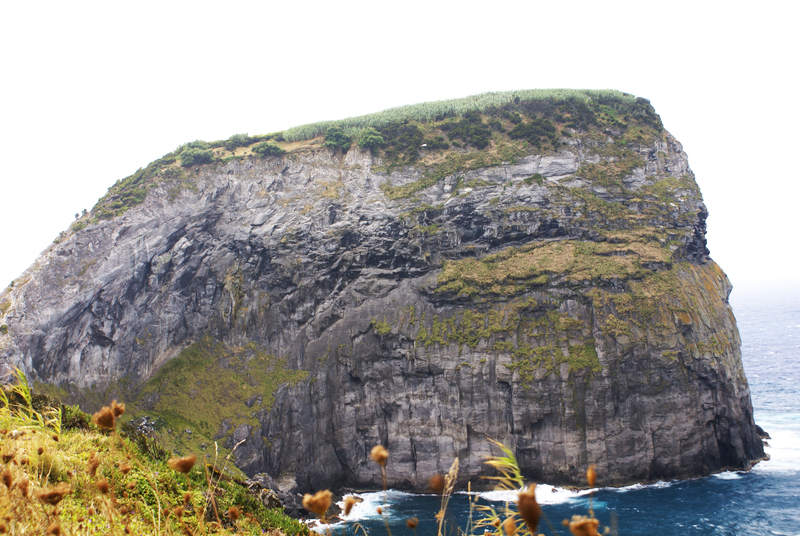 Also in this section you can see some marine birds such as terns and Cory; the bat, the only mammal endemic of the Azores also marks presenta this route. 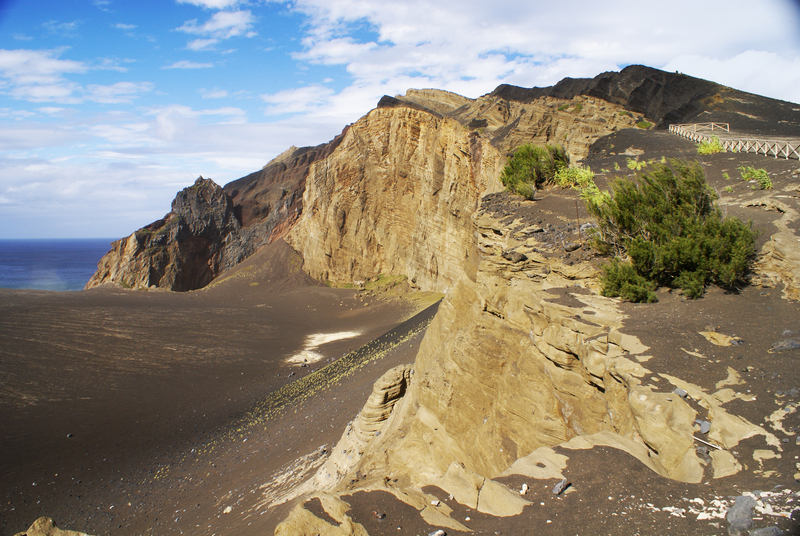 The route of the 10 volcanoes combines various segments of the tracks in Faial, specifically the perimeter of the boiler, Levada – North Beach and Capelo – Capelinhos, totaling about 25 kilometers a difficult ride, but rewarding for the opportunity to meet and observe the endemic flora Faial and geological specimens. This begins at the viewpoint of the boiler and ends at the old lighthouse of Capelinhos where currently operates the Interpretative Center of Capelinhos. Starting and ending in the town of North Beach, this comes down to Faja of North Beach, consisting of debris and lava after the eruption of Cabeço Fire. Continuing, down to the cliff amid a forest of incense Pittosporum undulatum), beeches (Myrica beech), cedars (Cryptomeria japonica) and ulmos (Ulmus sp.) 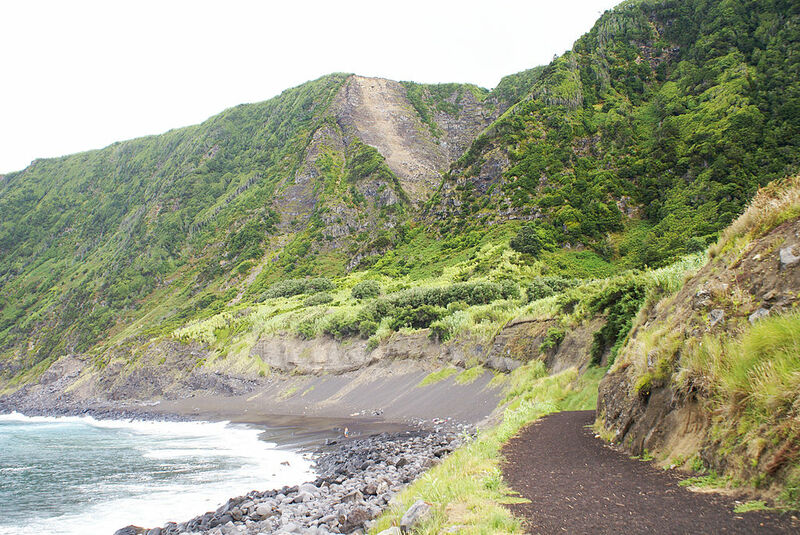 Further on, is the beach fajã, recommended by places for surfing. Following the trail, it reaches the area rich in endemic plants such as beech, wood-white (Picconia azorica) and heather (Erica azorica), ending in a populated area, where you can admire the Chapel of Our Lady of Penha. Going up the Ladeira dos Burros, one comes to the Norte Beach.